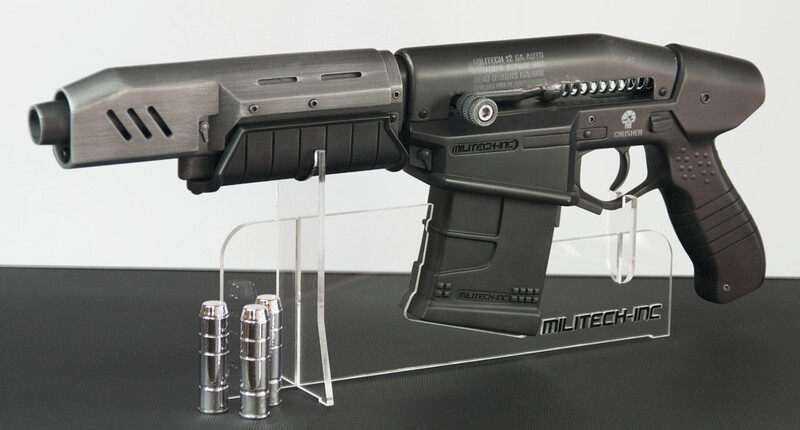 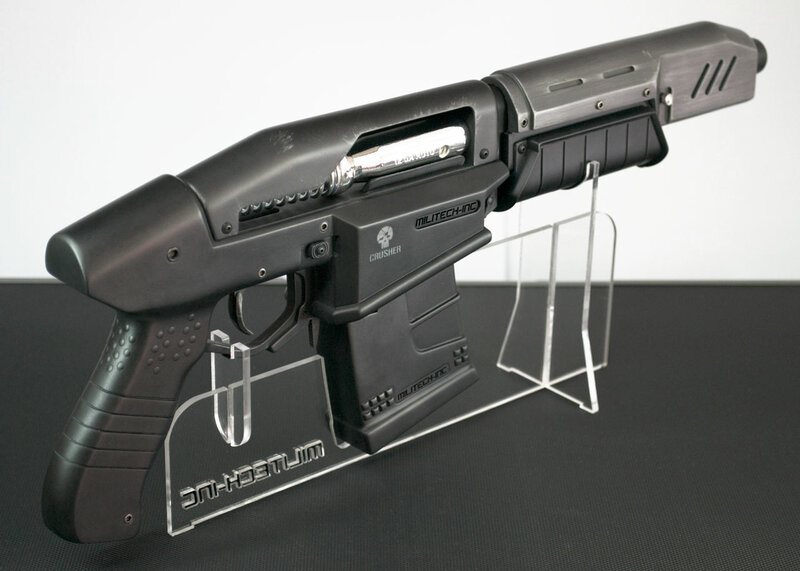 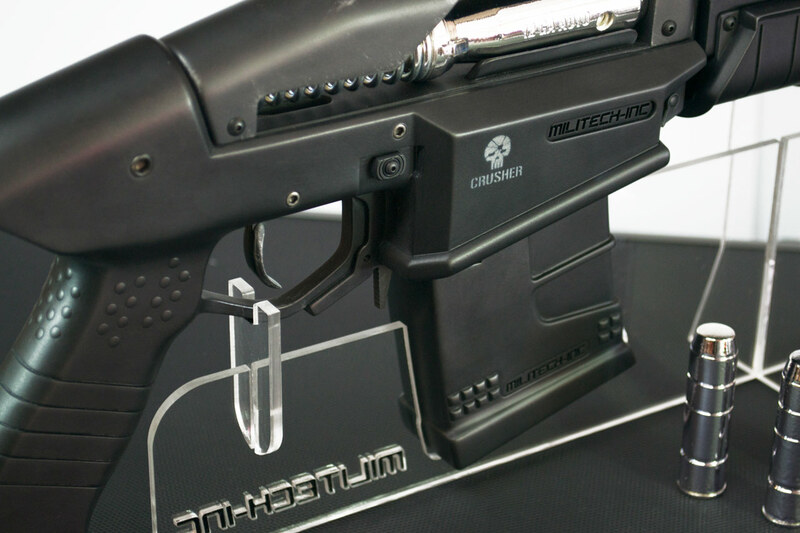 This replica gun was created for the game studio CD Projekt Red to highlight their upcoming title Cyberpunk 2077 at E3 2013. 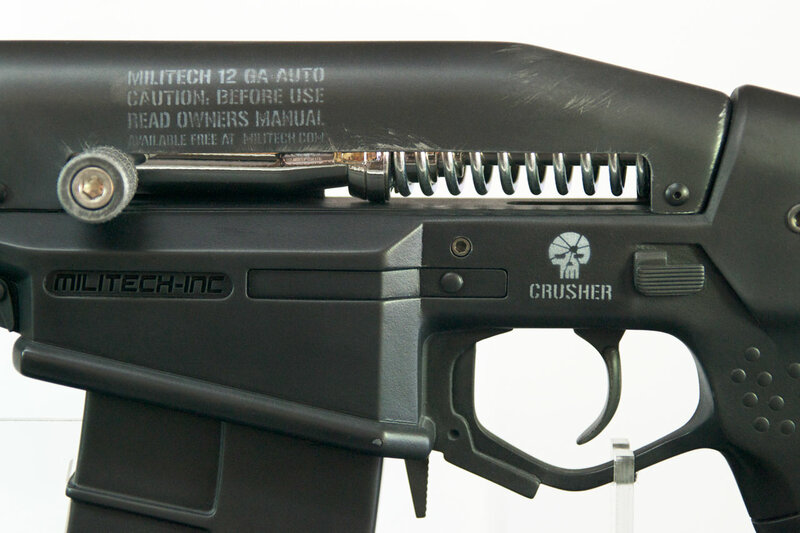 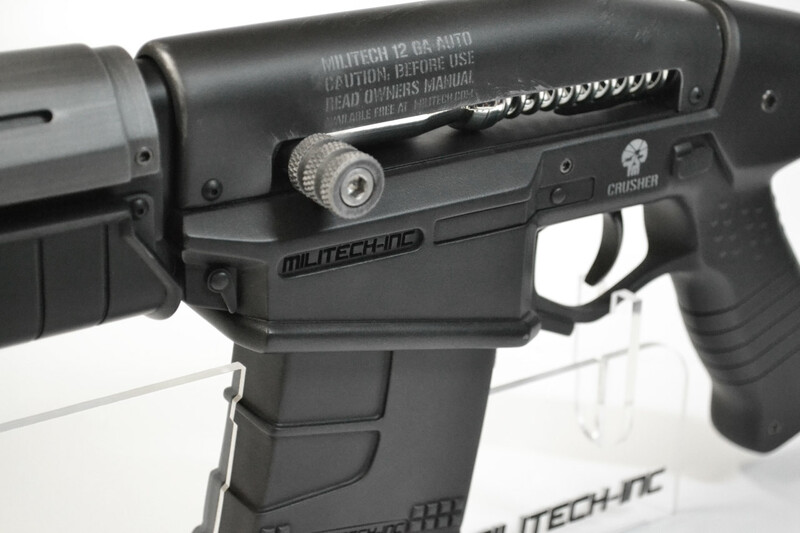 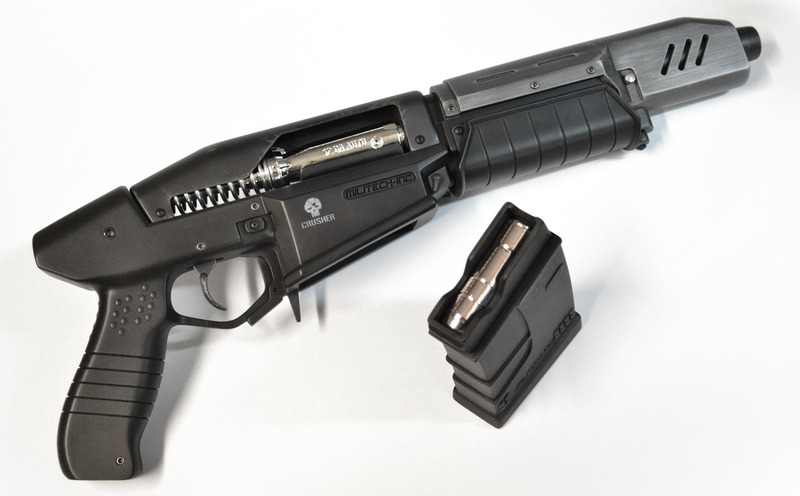 The pistol has a spring loaded trigger and removable magazine with a chromed 12ga round, and is composed of 13 individual resin and metal parts. 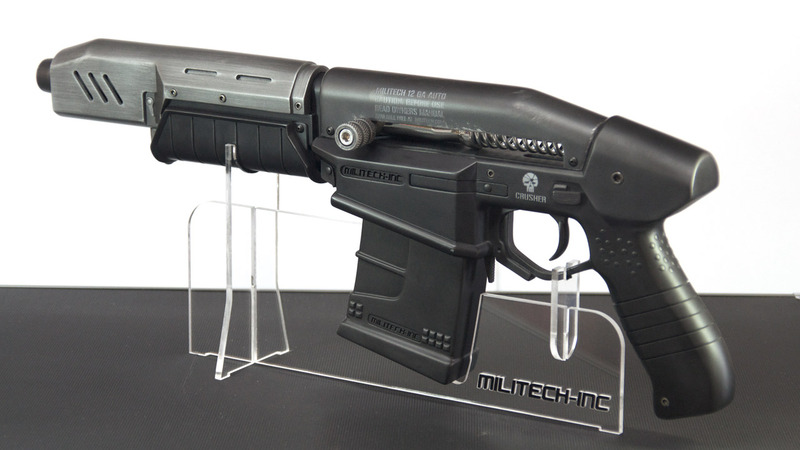 An acrylic display stand was also provided with a custom shipping crate so the gun could be transported to other gaming press events in the future. 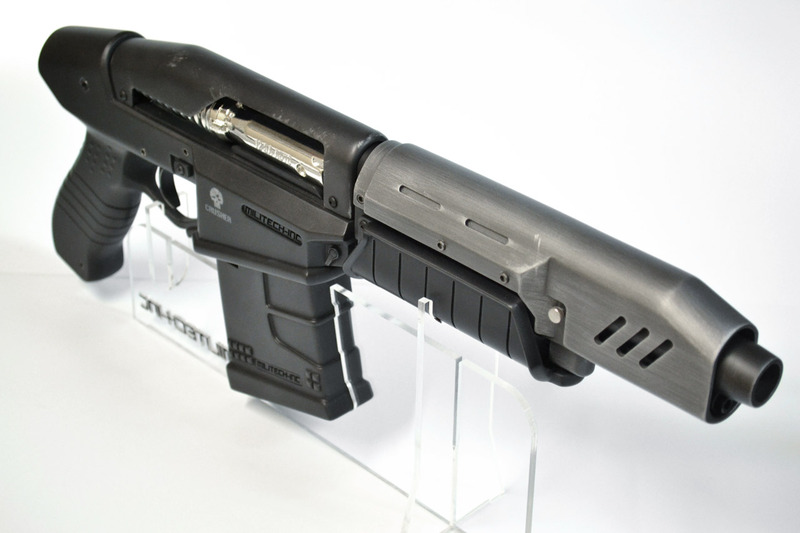 Final production time for this pistol was a little over 3 weeks, including creating a set of 9 silicone molds to accommodate future orders for more replicas.